Create your own lovely ornaments for the tree! Easy patterns, no sewing or sewing machine required. Flowers make great holiday centerpieces! Made from burlap fabric. Patterns include pattern pieces and instructions. 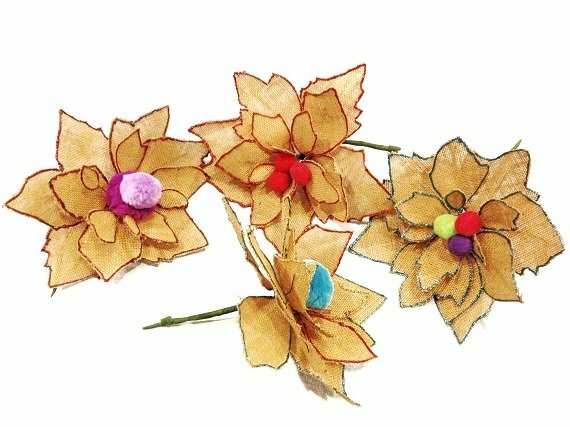 Instructions include photos to help you make your own burlap flowers.